Probably 17th century in origin, refronted in the 19th century. Single stucco frontage of 3 storeys, slate roof, probably lowered, brick stack against higher gable of no 13. 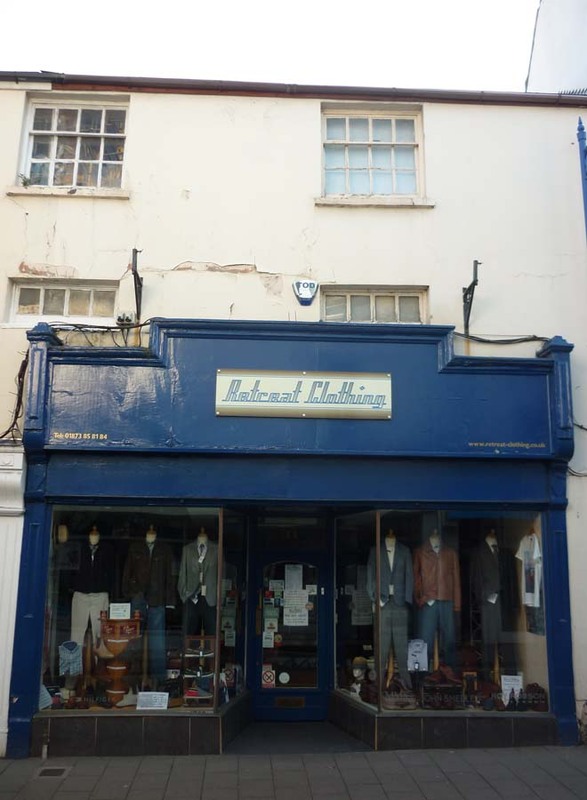 Three windows, 2nd floor with double hung sashes with glazing bars in plain eveals., 1st floor windows partially blocked by high, later, shop fronts. Massive fascia to right with upper stepped cornice. Rear walls of rubble with 2 storey lean-to extension. Old buildings to the rear were demolished in 1978. First floor has been re-plastered although the old cast iron grate has been retained. Original oak beams on 2nd floor. Original staircases to both floors remain. The original mosaic “James Baker” still exists at the front door, as does the brass surround to the window. A modern wall separates nos 11 & 12 on the second floor and can be seen in the middle of a window from the street. 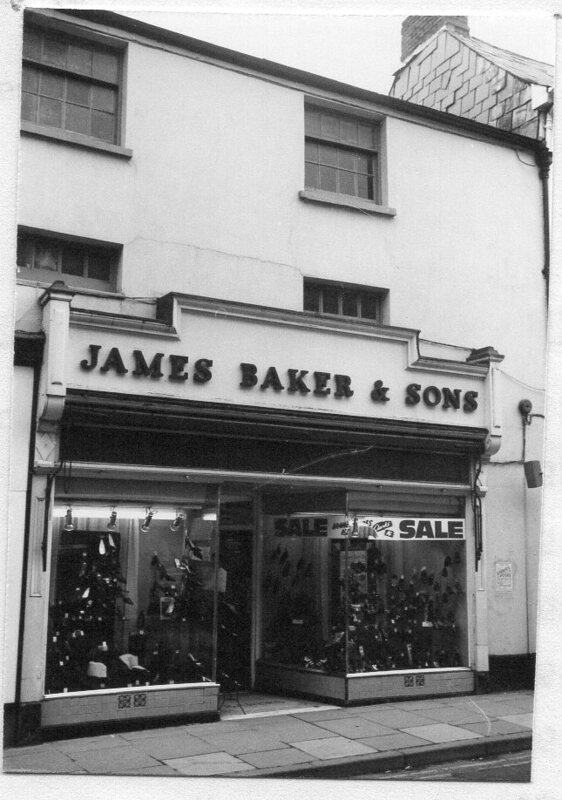 1923 – 1980: James Baker & Sons Ltd, Shoe shop. upper floors have been renovated but were not in use in 1979. 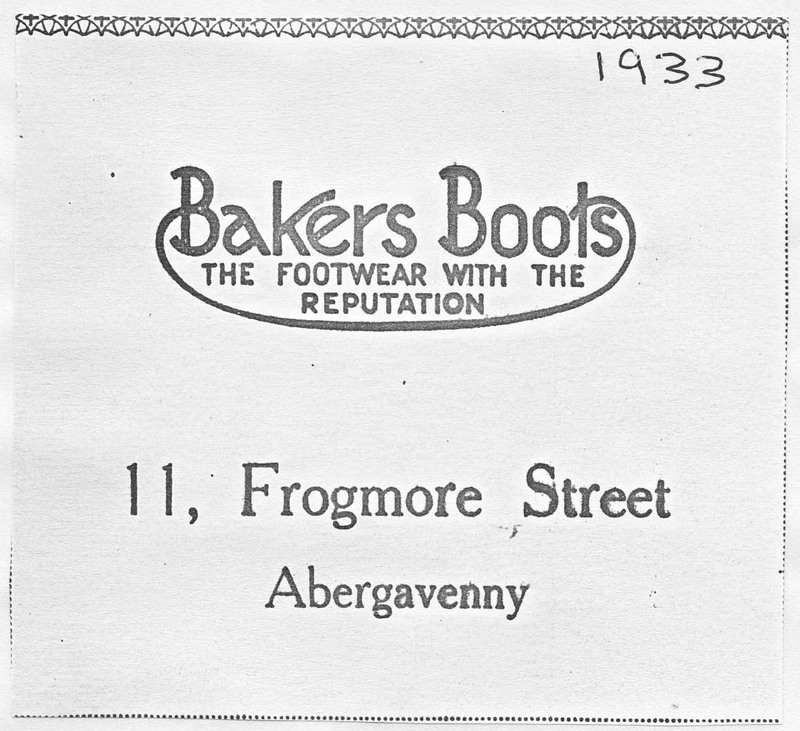 1988: Jon & Janet Bagatelle are listed here as well as in no 8.